Most church members think their preacher does the things he does because they pay him to do it. I believe this is an upside-down way of thinking about the situation. It’s so much healthier to think of it like this, “The preacher has committed his life to the proclamation of the gospel and we support him financially in that effort.” He doesn’t do it because you give him money; you give him money because he does it. The apostle Paul surrendered his right to collect financial support from most of the congregations with whom he worked, but he affirmed that congregations should support those who work spreading the gospel (1 Corinthians 9). The church ought to support as many preachers, teachers, evangelists, and missionaries that we are able to support. When men want to devote their lives to the proclamation of the gospel, we ought to consider it our privilege and joy to support such men. Most church members think of their preacher as “the minister” (servant) of the congregation. They consider it his job to do the counseling, visiting, evangelizing, teaching, etc. And whether we want to admit it or not, much of this stems from the fact that we don’t want to do this work, or don’t think we have the time, so we have hired it out. We say things like, “I don’t know how and I don’t have time to go to the hospital and visit all those sick people or have Bible studies with lost people; that’s what we pay the minister for.” But we couldn’t be more wrong for this way of thinking. There is absolutely NO biblical precedent for hiring someone to do the work we should be doing. In fact, one of the tasks of the evangelist is to “equip” the members to do “the work of ministry” (Ephesians 4:11-12). You don’t support a preacher so you can relieve yourself of work; you support a preacher, in part, to help equip and motivate you to do the work you ought to be doing. Of course he helps to equip the congregation through setting a good example of service, but if he ever starts doing your work for you, he is enabling you rather than equipping you. And many preachers need to stop enabling the congregation and start equipping the congregation. When a congregation thinks of their preacher as their employee, they misunderstand the situation. The preacher does not work for the congregation. He does not work for the elders. He works for the Lord. Paul calls preachers, “the Lord’s servant” (2 Timothy 2:24); and that’s what a preacher is, the Lord’s servant. Not our servant. Of course the preacher and his work are under the oversight of the local elders. The elders shepherd the preacher, helping him to balance the work he does specifically for the local church and the work he does for the Kingdom. One preacher and his eldership may decide that his work needs to focus primarily – or even exclusively – on the local work; while another preacher and his eldership may decide to focus his skills and abilities more on spreading the Gospel throughout the world. 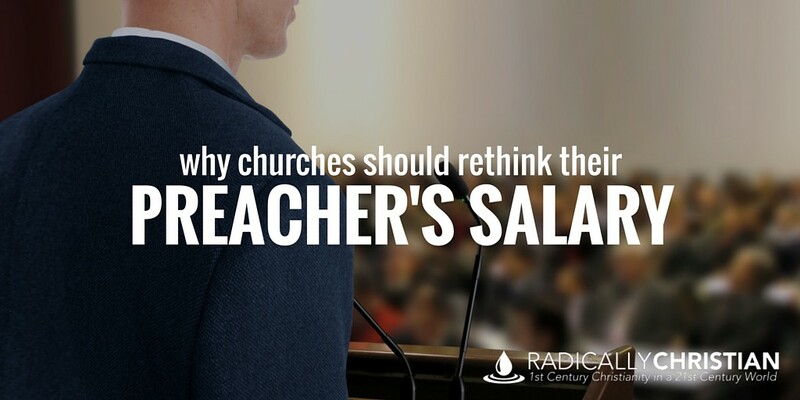 It’s a shame when a congregation believes their preacher belongs to them and they are resentful about the time he spends preaching and teaching other places. They ought to realize it is because of their financial support that he is able to preach the gospel in places that couldn’t afford to support him, or perhaps any preacher, full-time. 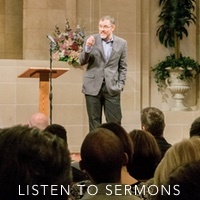 When congregations think of their preacher as an employee who belongs to them, they often fail to treat him as a fellow-member of the congregation. Our preachers need to be able to fellowship, learn, confess their sins and struggles, be encouraged, be counseled, and have all the benefits we enjoy as members of a church family. But we often deny them those blessings because we treat them as our employees. Is your preacher always teaching a Bible class, or do you let him be a student sometimes? Do you expect your preacher to always be the one to teach, counsel, and encourage you, or do you sometimes offer him your listening ear? Does your preacher feel like a member of your congregation or an employee of your congregation? The bottom-line is this, we have to stop thinking that the money we give to our preachers makes them indebted to us. Instead, we ought to consider it our privilege to be able to support men who faithfully and diligently proclaim the gospel message in our congregation and elsewhere. We ought to encourage them any way we can in the work they do. Personally, I am so very thankful that the congregation with whom I work supports me in spreading the gospel, while allowing me to be a member of the congregation. I couldn’t ask for a better congregation. I hope other congregations will treat their preachers the same way.